Atcherson, S.R. (2010). “A Comparison of Spectral Modulation Thresholds Obtained Psychophysically and Using Scalp-Recorded Auditory Evoked Potentials”, American Speech-Language-Hearing Foundation, New Investigator Grant ($5,000). Kelly, R.J. (2010). “A Phenomenological Understanding of Couples Living with Hearing Loss.” Medical Research Endowment Herbert L. Thomas, Sr. Memorial Award, University of Arkansas for Medical Sciences. ($11,095). Atcherson, S.R. (Primary Investigator) & Dornhoffer, J.L. (Co-Investigator). (2009). “The Effect of Aging and Noise on Neural Representation of Speech”.Medical Research Endowment Fund, University of Arkansas for Medical Sciences. ($11,900). Smith-Olinde, L.(Primary Investigator). (2008). “Effects of Hearing Loss on Binaural Processing of Complex Sounds.” UALR College of Professional Studies Summer Research Fellowship ($9268). Nicholson, N. (Primary Investigator) & Vanbiervliet, A. (Co-Investigator). (2007). “Making EHDI Decisions: An e-DVD Tool for Families” (1 R41 DC008232-01A2). National Institute of Deafness and Communication Disorders ($150,000). Zraick, R.I. (Primary Investigator). (2007). “Phonatory Airflow System (PAS) Normative Study.” KayPentax Corp., Lincoln Park, NJ. ($13,000). Kelly, D.J. (Primary Investigator). (2007). ”Relations between levels of maternal education and ethnicity and language acquisition for low-income African American and Euro-American Preschoolers”. University of Arkansas at Little Rock, College of Professional Studies, Research Fellow Award. ($10,000). Franklin, C. (Primary Investigator). (2007). “Comparison between Two Methods of ABR Amplitude Scaling in the Estimation of Hearing Sensitivity: Validity and Clinician Confidence.” University of Arkansas at Little Rock Office of Research and Sponsored Programs Seed Grant Award. ($6,300). Nicholson, N. (Primary Investigator), Dornhoffer, J., King, J., Martin, P., (Co-Investigators). (2007). “Freedom Post-market Pediatric Study.” Cochlear Americas ($4,000). Kelly, D.J. (Primary Investigator). (2006). “Communication Profiles in low-income African American & Euro-American Dyads”. University of Arkansas at Little Rock, Office for Research and Graduate Studies, Research Seed Grant Competition. ($6,500). Nicholson, N. (Primary Investigator), Bower, C., Martin, P., Smith-Olinde, L. (Co-Investigators). (2006). “High Frequency Tympanometry in the Neonatal Intensive Care Unit”. SEED Grant, University of Arkansas at Little Rock ($6,500). Zraick, R.I. (Primary Investigator). (2006). “The CAPE-V Validation Study.” American Speech-Language-Hearing Association, Special Interest Division 3. ($3000). Wilkerson, B. & Robinson, G.C. (Thesis Mentor). (2006). “A Survey of Speech-Language Pathologists’ Perceptions Regarding Their Training, Preparedness, and Knowledge in the Area of Augmentative Alternative Communication”. University of Arkansas for Medical Sciences. Committee for Allocating Graduate Research Funds. ($3,000). Franklin, C. (Primary Investigator), Smith-Olinde, L. & Nicholson, N. (Co-Investigators). (2005). “Auditory Training of Geriatric Individuals with Hearing Loss. Tailored Biobehavioral Intervention Research Center Pilot Fund (2005). ($15,000). Nicholson, N. (Primary Investigator), Dornhoffer, J., Smith-Olinde, L., & Franklin, C. (Co-Investigators). (2005). “Relationship between TEOAEs, audiometric thresholds, and evoked potential thresholds.” Medical Research Endowment Fund, University of Arkansas for Medical Sciences. ($14,000). Kelly, D.J. (Primary Investigator). (2005). “Analysis of selected African American English grammatical forms produced by low-income mothers and their children.” University of Arkansas for Medical Sciences. Medical Research Endowment Award. ($9,280). Nicholson, N. (Primary Investigator). (2005). “Test-retest reliability of unaided in-situ minimum response levels for infants.” Office of Research in Clinical Amplification, Widex. ($8,000). Zraick, R.I. & Gregg, B.A. (Co-Primary Investigators) (2005). “An Investigation of the Speech and Voice of Persons with Alzheimer’s Disease.” University of Arkansas for Medical Sciences Memory Research Center (funded through grant P30 AG 19606 from the National Institute on Aging). ($7500). Gentry, B.F. (Primary Investigator). (2005). “Pragmatics Group Assistantship”. University of Arkansas at Little Rock Office of Research and Sponsored Programs Mini Seed Grant. ($4500). Vanbiervliet, A., Smith-Olinde, L. (Co-Primary Investigator). (2005). “Evaluation of ‘Clear Speech’ to Enhance Multimedia eHealth Programs. National Cancer Institute, PAR-04-117 Understanding and Promoting Health Literacy (R03). ($71,000). Nicholson, N. (Primary Investigator), Smith-Olinde, L. (Co-Investigator). (2004).”Test-retest reliability of unaided in-situ thresholds for adults.” Office of Research in Clinical Amplification, Widex. ($12,000). Hutton, T.J. (Primary Investigator). (2004). “Earobics Literacy Launch Program.” University of Arkansas at Little Rock. Community and University Partnership (CUP) Grant ($10,000). Smith-Olinde L.(Primary Investigator). (2004). Effects of Hearing Loss on Binaural Processing of Two-Tone Sounds, University of Arkansas at Little Rock Office of Research and Sponsored Programs Seed Grant Award. ($4425). Zraick, R.I. (Primary Investigator). (2003). 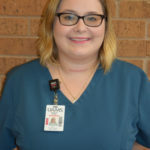 “Using Standardized Alzheimer’s Disease Patients to Teach Administration of the Mini-Mental State Exam by Speech-Language Pathology Graduate Students.” Arkansas Geriatric Education Center (funded through HRSA grant # 1 D31 HP 80009 01). ($2150). Gentry, B.F. & Phelan, K. (Thesis Mentor).(2003). “An Investigation of Speaking Attitudes of African American Children”. University of Arkansas for Medical Sciences Committee for the Allocation of Graduate Student Research Funds Grant. ($2500). Vanbiervliet, A. (Primary Investigator), Martin, P., Boone, S. (Co-Investigators), Nicholson, N. (Content Consultant), Smart, Jennifer (Media Specialist). (2003). “Development of Digital Support Resources for EHDI Programs”. National Institute on Deafness and Other Communication Disorders. ($300,000). Tilford JM, Smith-Olinde, L., Martin P. (Co-Investigator) (2003). “Health Effects of Congenital Hearing Loss in Children.” 2-year Centers for Disease Control and Prevention Cooperative Agreement. ($232,478). Smith-Olinde L. (Primary Investigator). (2002). “Effects of Hearing Loss and Amplification on Verbal Tests for Alzheimer’s Disease.” University of Arkansas for Medical Sciences Alzheimer’s Disease Center. ($10,600). Zraick, R.I. (Primary Investigator). (2002). “Clinical Training of Allied Health Professions Students Using Standardized Alzheimer’s Disease Patients and Families.” Arkansas Geriatric Education Center (funded through HRSA grant # 1 D31 HP 80009 01). ($8,974). Zraick, R.I. (Primary Investigator). (2001). 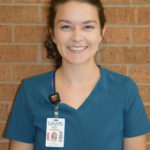 “The Use of Standardized Alzheimer’s Disease Patients and Families to Teach and Test Clinical Management by Speech-Language Pathology Graduate Students.” University of Arkansas for Medical Sciences Alzheimer’s Disease Center (funded through grant P30 AG 19606 from the National Institute on Aging). ($13,702). Zraick, R.I. (Primary Investigator). (2001). “The Use of Standardized Patients to Teach Clinical Interviewing Skills to Health Related Professions Students.” Arkansas Geriatric Education Center (funded through HRSA grant # 1 D31 HP 80009 01). ($2400). Zraick, R.I. & Hutton, T. (Co-Investigators). (2000). “The Use of Standardized Patient Videotaped Interactions to Teach Principles of Clinical Management.” University of Arkansas at Little Rock, Chancellor’s Office. ($1650). Gentry, B.F. & Lasker, C. (Thesis Mentor). (2000). “A Follow-up Study to Develop a Valid and Reliable Attitude Scale for African American School-Aged Children with Communication Disorders Using the First African American Children’s Emotional Scale-Revised (FAACES-R).” University of Arkansas for Medical Sciences Committee for the Allocation of Graduate Student Research Funds Grant. ($2500). Zraick, R.I. (Primary Investigator). (1999). “The Use of Standardized Aphasic Patients to Teach and Assess Clinical Skills of Speech-Language Pathology Graduate Students.” The American Speech-Language-Hearing Foundation (New Investigator Award).($5000). Gentry, B.F. (Primary Investigator). (1999). “Development and Norming of an Interpersonal Communication Scale for School-Aged African American Children.” University of Arkansas at Little Rock Faculty Development Grant. ($4000).